Developers developing in Ruby on Rails, Node.js and PHP know that deploying code can be a pain and stressful. The team at VIADUCT.io has designed and developed a platform that is easy to use and understand and takes the headache out of deploying code and apps. Why did you build you product? What problem are you taking on? 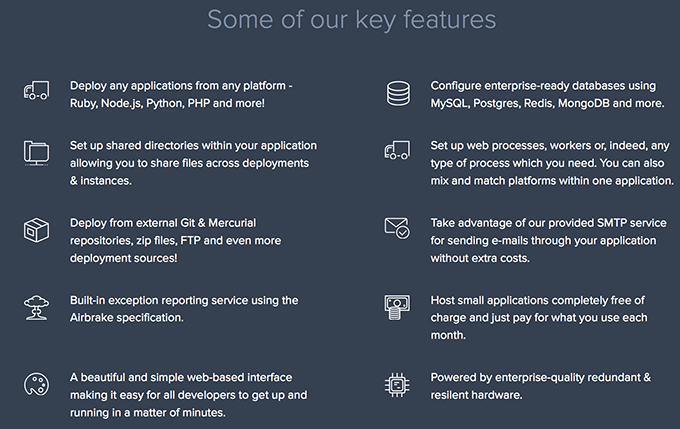 Viaduct takes the stress out of deploying your code while still being affordable. The web interface is simple to understand. Viaduct’s interface is beautifully designed and very easy to use and understand. Our support team are here to help whenever needed and guide anyone who is new to the platform. Viaduct was developed because of our own need of a solution for deploying small to medium sized applications. Viaduct is part of the aTech Media group who also develop a range of SaaS products including Codebase (a code hosting platform), Deploy (a deployment solution) & Sirportly (a helpdesk product). Viaduct was founded & developed by Adam Cooke in late 2013. Adam has been creating software as a service products for the last 10 years and his wealth of experience developing sophisticated software & infrastructure management tools has been invaluable during the development of Viaduct. Developers check out VIADUCT for yourself at viaduct.io or follow the on Twitter here.